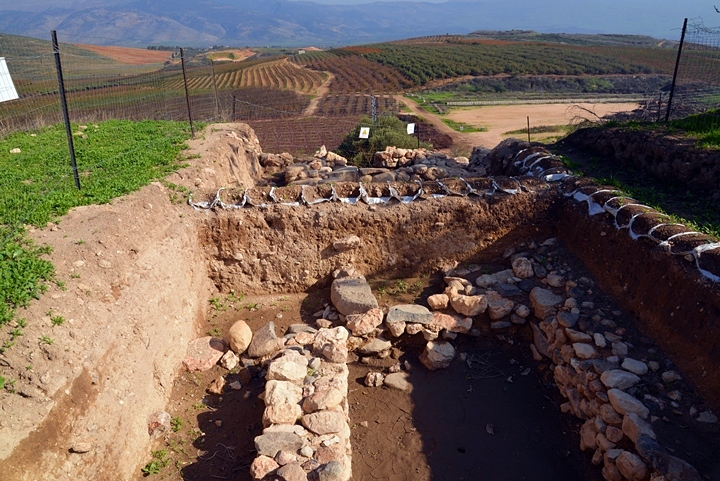 An important Canaanite and Israelite city in the northern part of Israel. 2 Samuel 20:15: "And they came and besieged him in Abel of Bethmaachah. 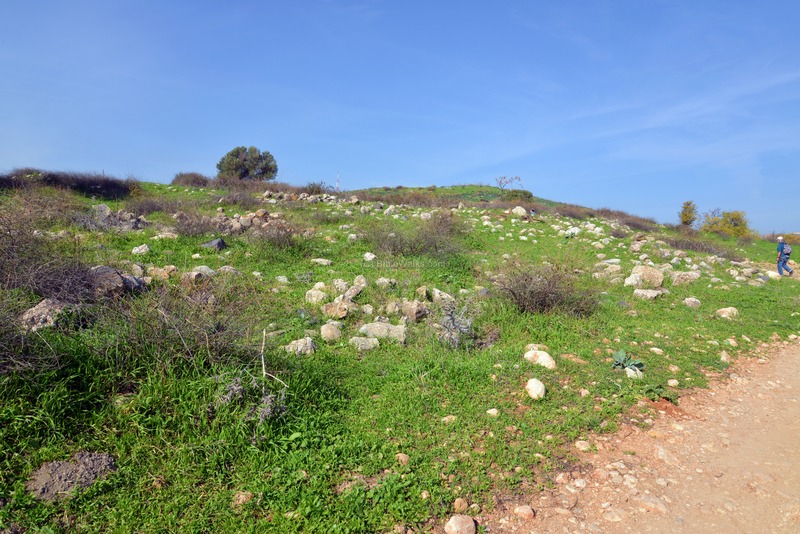 Abel Beth Maacah is an important Canaanite and Israelite city in the northern part of Israel, situated on a large mound. This was the city where Sheba son of Bichri has hidden during his mutiny against king David. Abel was destroyed twice - by the Syrians in the 9th Century and by the Assyrians in the 8th Century BC. 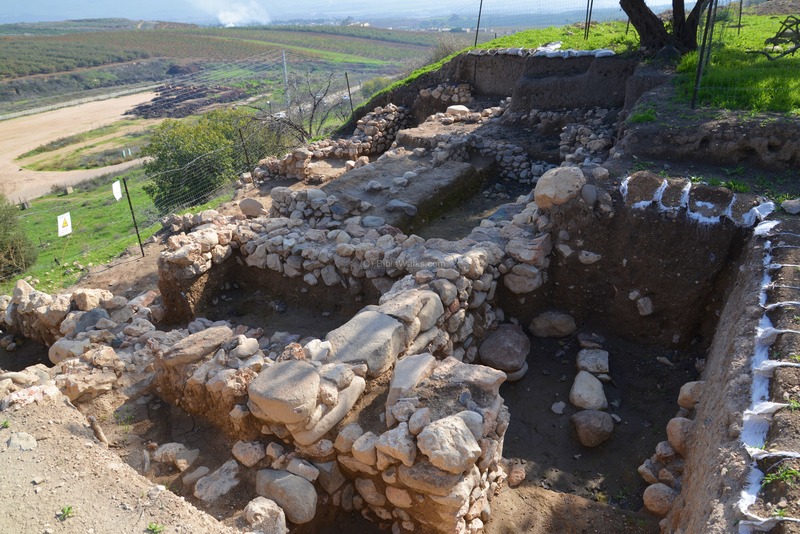 New excavations started in 2013 have started to unravel its secrets. 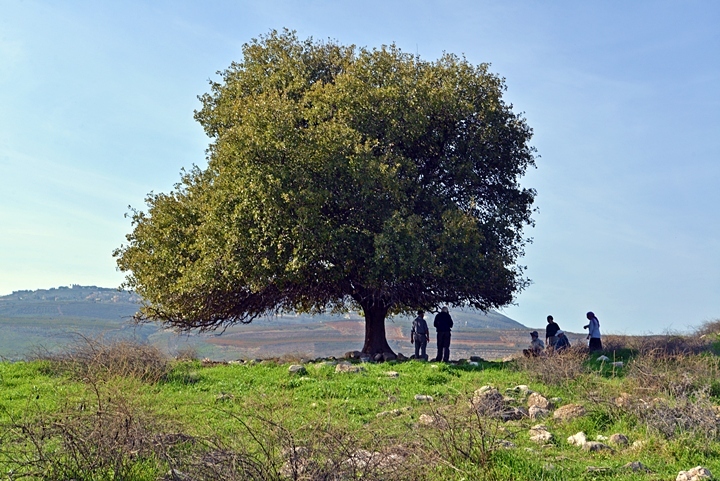 Tel Abel Beth Maachah is located in the Upper Galilee, between Kfar Giladi and Metula. The ruins of the ancient city are located on a high oval shaped mound. The northern section of the mound rises to the height of 414m (1360ft) above sea level, while the lower but longer southern section is only 368m (1207ft) high. The artificial mound towers about 50m (164ft) above the surrounding area. The deep valley of the Ayun stream loops around the site, providing it yet another natural defense advantage. You can point on the yellow points to navigate to the selected point in this page or other pages. 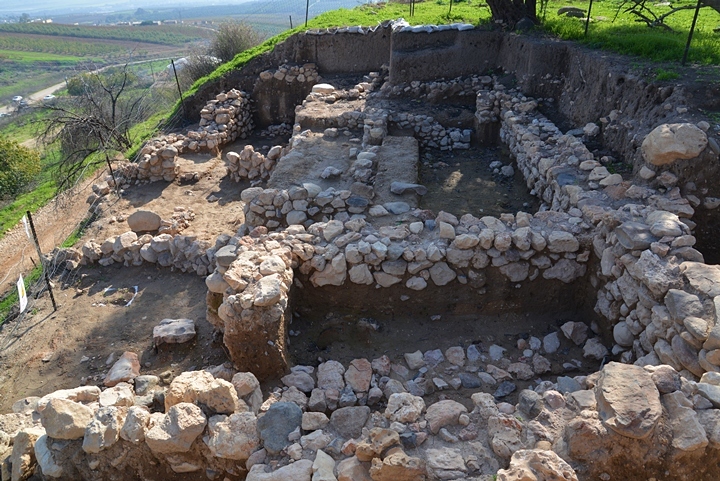 The Canaanite city was established during the Middle Bronze age (2200-1550 BC). During the Late Bronze period (1550-1200 BC), Abel Beth Maacah was mentioned in the list of cities that were conquered in 1468BC by Egyptian Pharaoh Thutmose III after the great battle between Egypt and the Canaanites in Megiddo. According to scholars, the city appears as "JBR", which is an Egyptian equivalent to ABL (Abel). The Egyptian conquest lasted for 350 years. Abel Beth Maacah is situated on the crossroads of ancient routes: west to Tyre and Sidon, north to Syria, West to Damascus via Laish (Banias), and south to Hazor and further to the center of the land and to Egypt. Its location is shown in the upper side of the Biblical map below, and is marked by a red square. 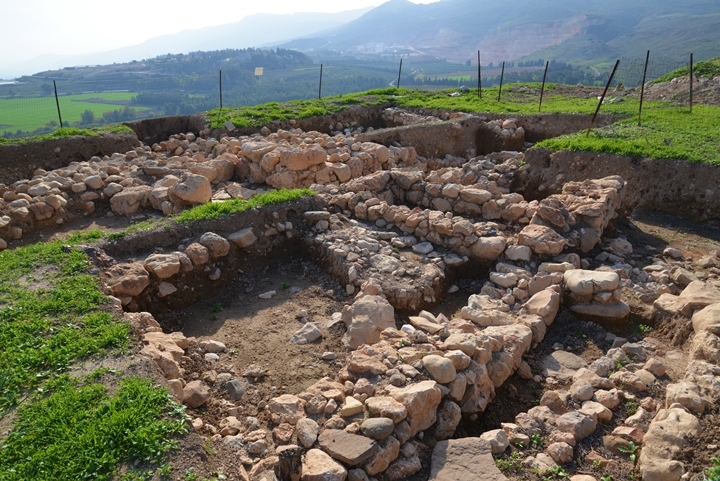 During the 13th Century BC the Israelites, headed by Joshua, conquer major parts of Canaan. The Land was divided among the 12 tribes, but some of the Canaanite strongholds and areas were not captured. Abel Beth Maacah was inherited by the tribe of Naphtali, although later the tribe of Dan relocated to the area of Laish (Banias) east of Abel. The Israelite Kings, Saul and David, engaged in many battles in order to strengthen and expand the borders of their Kingdom. Their main enemies were the Philistines in the south west, the Adomites in the south, the Moabites and Ammonites in the east, and the Syrians (Aram Damascus) in the north. 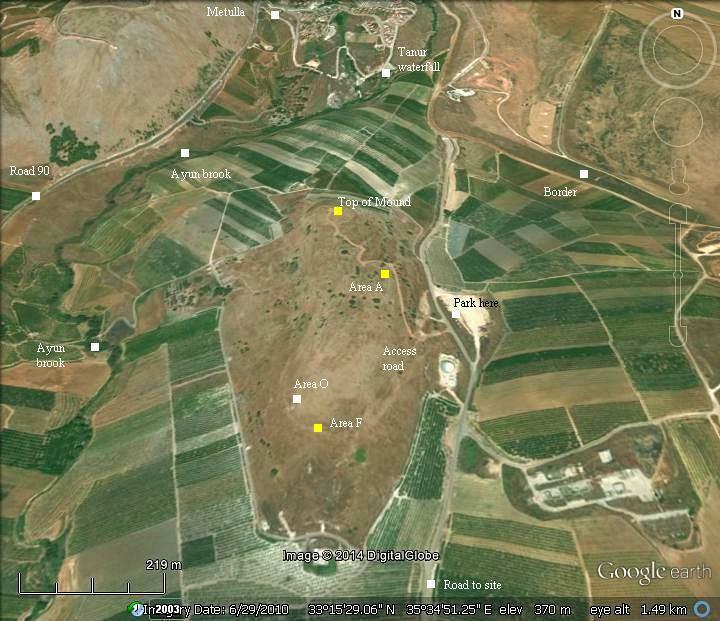 Abel Beth Maacah was part of Saul and David's kingdom, as their northern area included city of Iyun (Ijon), north of Abel Beth Maacah (see map above). Since Abel was a frontier city, these kings probably would have fortified it against the enemy from the North - the Kingdom of Aram Damascus, also called the Syrians of Damascus (2 Samuel 8:5) "And when the Syrians of Damascus came to succor Hadadezer king of Zobah, David slew of the Syrians two and twenty thousand men.". King David turned the small country into a large empire. The territory of David is detailed in the description of the census, conducted by David's general, Joab, for the purpose of raising taxes and recruitment (2 Samuel 24:2): "For the king said to Joab the captain of the host, which was with him, Go now through all the tribes of Israel, from Dan even to Beersheba, and number ye the people, that I may know the number of the people.". The northern area was part of the Census, reaching to the northwest cities of Tyre and Sidon (2 Samuel 24: 6-7): "Then they came to Gilead, and to the land of Tahtimhodshi; and they came to Danjaan, and about to Zidon. And came to the strong hold of Tyre...". 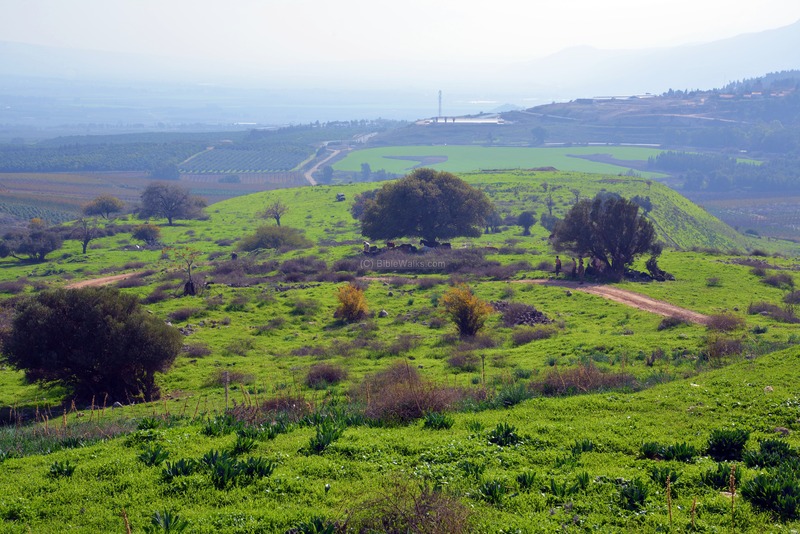 The small Aramean Kingdom of Maacah, which gave Abel Beth Maacah its name, was located in the Golan area east of the Sea of Galilee. Its king joined forces with the Ammonites in their war with David (2 Samuel 10:6): "And when the children of Ammon saw that they stank before David, the children of Ammon sent and hired the Syrians of Bethrehob and the Syrians of Zoba, twenty thousand footmen, and of king Maacah a thousand men, and of Ishtob twelve thousand men.". 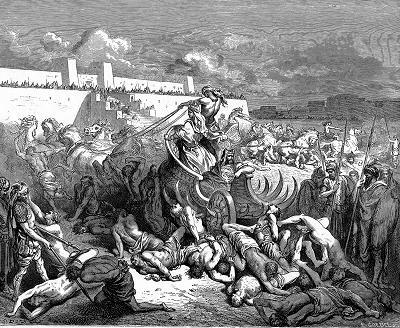 Joab fought against their armies in Medeba south of the modern city of Amman (Rabbath-Ammon), named after the Ammonite Kingdom (2 Samuel 10:8): "And the children of Ammon came out, and put the battle in array at the entering in of the gate: and the Syrians of Zoba, and of Rehob, and Ishtob, and Maacah, were by themselves in the field". "And he went through all the tribes of Israel unto Abel, and to Bethmaachah, and all the Berites: and they were gathered together, and went also after him". David's general, Joab, besieged Abel Beth Maacah and managed to batter its walls (2 Samuel 20:15): "And they came and besieged him in Abel of Bethmaachah, and they cast up a bank against the city, and it stood in the trench: and all the people that were with Joab battered the wall, to throw it down". Joab was close to storm into the city, but a local wise woman saved the city by having her people behead Sheba and throw his head over the wall (2 Samuel 20:16-22): "Then cried a wise woman out of the city, Hear, hear; say, I pray you, unto Joab, Come near hither, that I may speak with thee. And when he was come near unto her, the woman said, Art thou Joab? And he answered, I am he. Then she said unto him, Hear the words of thine handmaid. And he answered, I do hear. Then she spake, saying, They were wont to speak in old time, saying, They shall surely ask counsel at Abel: and so they ended the matter. I am one of them that are peaceable and faithful in Israel: thou seekest to destroy a city and a mother in Israel: why wilt thou swallow up the inheritance of the LORD? And Joab answered and said, Far be it, far be it from me, that I should swallow up or destroy. The matter is not so: but a man of mount Ephraim, Sheba the son of Bichri by name, hath lifted up his hand against the king, even against David: deliver him only, and I will depart from the city. And the woman said unto Joab, Behold, his head shall be thrown to thee over the wall. Then the woman went unto all the people in her wisdom. And they cut off the head of Sheba the son of Bichri, and cast it out to Joab. And he blew a trumpet, and they retired from the city, every man to his tent. And Joab returned to Jerusalem unto the king". The resentment over the superiority of Judah over the tribes, which caused the two mutinies against David, came to a fatal end after the death of Solomon, the son of David. The Israelite empire separated to the Northern and Judean kingdoms. Due to territorial claims in the area of Benjamin, frequent fights occurred between the kingdoms. 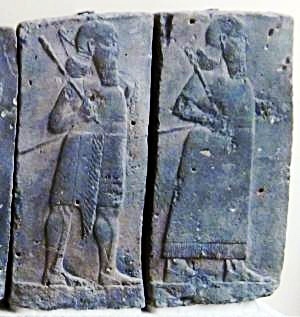 During the reign of Asa (of Judea, the great grandson of Solomon), and Baasha (of the North kingdom), a major battle erupted between the two sides. (1 Kings 15:16): "And there was war between Asa and Baasha king of Israel all their days". Baasha had the upper hand, and advanced to the south. Asa, in distress, turned to king of Syrians (Aram Damascus), the arch enemy of the Israelites, hoping to block their advance (1 Kings 15:18-19): "Then Asa took all the silver and the gold that were left in the treasures of the house of the LORD, and the treasures of the king's house, and delivered them into the hand of his servants: and king Asa sent them to Benhadad, the son of Tabrimon, the son of Hezion, king of Syria, that dwelt at Damascus, saying, There is a league between me and thee, and between my father and thy father: behold, I have sent unto thee a present of silver and gold; come and break thy league with Baasha king of Israel, that he may depart from me". "So Benhadad hearkened unto king Asa, and sent the captains of the hosts which he had against the cities of Israel, and smote Ijon, and Dan, and Abelbethmaachah, and all Cinneroth, with all the land of Naphtali.And it came to pass, when Baasha heard thereof, that he left off building of Ramah, and dwelt in Tirzah. Then king Asa made a proclamation throughout all Judah; none was exempted: and they took away the stones of Ramah, and the timber thereof, wherewith Baasha had builded; and king Asa built with them Geba of Benjamin, and Mizpah". The lost territory was reclaimed later, during the reign of Ahab, and the city was rebuilt. The Assyrian empire, a rising force in the region, conquered Syria and the North of Israel during the reign of the Assyrian king Shalmaneser III. The Assyrian king, named in the Bible as "Shalman", invaded to Syria and the northern part of Israel in the first Assyrian intrusion (841 B.C. ). This conquest continued in a second intrusion (738) by the great Assyrian king Tiglath-Pileser III. "And it came to pass in the days of Ahaz the son of Jotham, the son of Uzziah, king of Judah, that Rezin the king of Syria, and Pekah the son of Remaliah, king of Israel, went up toward Jerusalem to war against it, but could not prevail against it". This attack also encouraged the Adomites and the Philistines to attack Judah (2 Chronicles 28 18). Ahaz was under pressure from all fronts, and therefore called the Assyrians for help, although prophet Isaiah warned against this move (Isaiah 7 4): "Take heed, and be quiet; fear not, neither be fainthearted for the two tails of these smoking firebrands, for the fierce anger of Rezin with Syria, and of the son of Remaliah". The Assyrians quickly came to the help of Judah: In 734 BC was an intrusion to the North of Israel by the Assyrian King Tiglath-Pileser III. The Assyrians first captured the coastal cities until Gaza, subduing the Philistines. At a second intrusion (732) they captured some of the cities of the Northern Israelite Kingdom, including Abel (as per 2 Kings 15: 29): "In the days of Pekah king of Israel came Tiglathpileser king of Assyria, and took Ijon, and Abelbethmaachah, and Janoah, and Kedesh, and Hazor, and Gilead, and Galilee, all the land of Naphtali, and carried them captive to Assyria". "Then the king of Assyria came up throughout all the land, and went up to Samaria, and besieged it three years. In the ninth year of Hoshea the king of Assyria took Samaria, and carried Israel away into Assyria, and placed them in Halah and in Habor by the river of Gozan, and in the cities of the Medes". The Assyrians used a siege ramp, probably on the northwest section, to penetrate the heavily fortified city. Abel Beth Maacah was destroyed, never to recover again as a large fortified city. According to the excavations, the majority of the antiquities belong to this destruction level. 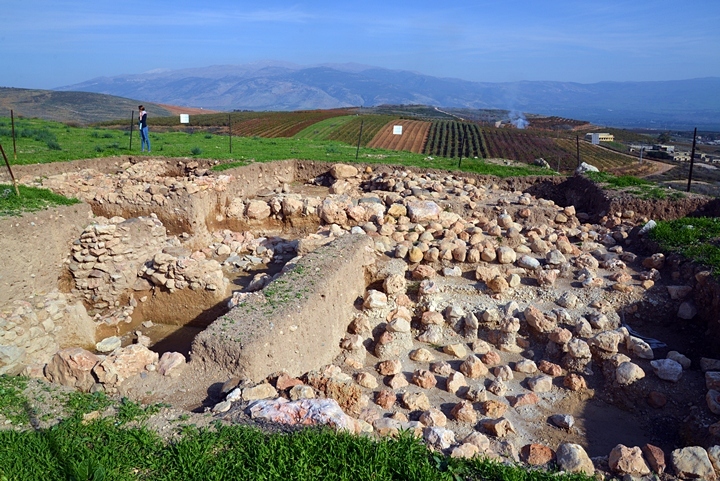 Remains of Persian and Hellenistic periods settlements were identified in the survey. 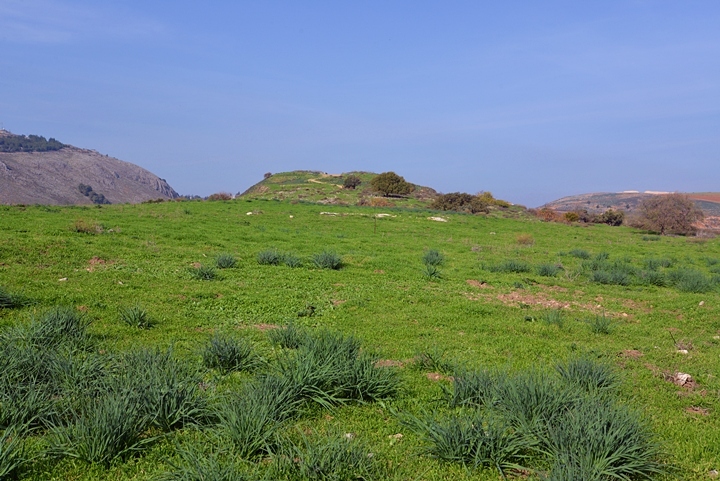 A small Roman-Byzantine village was located on the mound. The site was situated at an intersection of major ancient roads. A West-East Roman road passed on the south side of the Tel, connecting Tyre on the Mediterranean Sea, through the Golan, to Damascus in the North-East. A section of this Roman road can be seen on the ridge 1.5km west of the site. Another major road connected the north to the south. The Peutinger map (Peutingeriana tabula) is based on a 4th C map of Imperial Roman roads. This section shows the major military roads north of Tiberias (shown here on the left side as "Tyberias") . The map is oriented with the top side as the west, and a red marker was added on it to show the location of Abel. The main Roman road illustrated to the right (north) of Tiberias connected Tyre to Damascus (on the right, marked as "Damaspo") . The road is marked as "XXXVII" and "XXIIII" (which means 37 and 24 Roman miles between the stations on the road to Damascus). It passed through Banias ("Caferapaneas" - Kafar-Panias - Caesarea Philippi). The area of Abel Beth-Maacah was examined in the Palestine Exploration Foundation (PEF) survey (1866-1877) by Wilson, Conder and Kitchener. At that time there was a small Christian village on top of the hill, named "Abl" - preserving the ancient name. 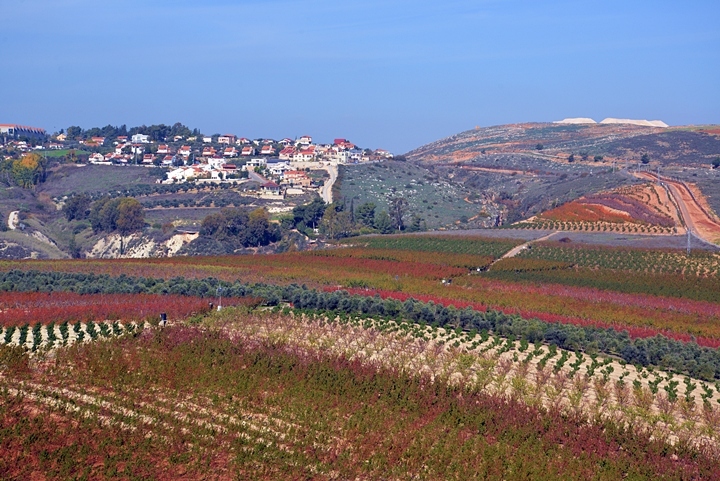 It is located south of "el-Mutallah" - a Druze village preceding modern town of Metulla, the north most town in Israel. "Abl - A small Christian village, containing 150 Christians and possessing a modern church. It is surrounded with arable soil of a basaltic nature, and is close to a stream of water from 'Ain ed Derdarah ; it has also a spring. Though there is little doubt that this site is that of Abel Beth Maacha, there are few traces of ancient remains to be seen near it". "Abl — A village, built of stone ; there are remains of ruins. This Abil may well be regarded as representing the ancient Abel or Abel Beth Maachah of this region, known to us in Scripture. It probably had the latter name, as lying near Beth Maachah, from which it is also distinguished. Once it is called Abel-maim. It is twice mentioned with other places in the order from north to south ; once, Ijon (Heb. Iyun, Arab. 'Ayun), Dan, Abel, and all Cinneroth ;" and again,"Ijon, Abel, Janoah, Kedesh, Hazor, Gilead." These notices all correspond well to the position of Abil. That this place is the true Abel of Scripture, rather than Ibl el Hawa, situated on the ridge between Merj 'Ayun and Wady et Teim, is probable for two reasons. The former lies on a Tell like most of the ancient strong cities ; and, further, its situation is such, that the series "Ijon, Dan, Abel," as above, is not unnatural ; which would not be the case with Ibl el Hawa, lying as it does north-east of Ijon.' —Robinson, 'Biblical Researches,' p. 372.
the ruins of walls and a Mohammedan cemetery. Everywhere hewn stones are dug out of the ground. 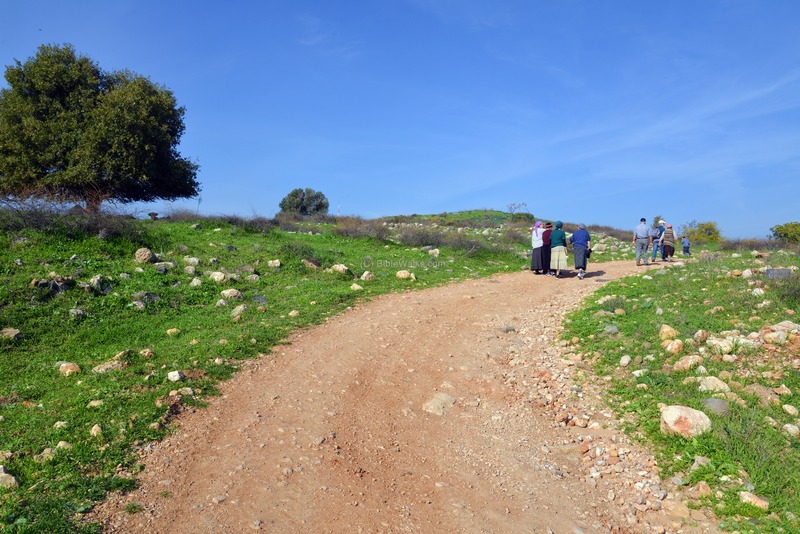 "El Mutallah — A small village, built of stone, containing about 100 Druzes, situated on slope of hill, near a large stream, surrounded by arable land". The small village of Abl, or Abil al-Kamah (also: al-Qamah), consisted of 58 houses and 229 residents (in 1931), was leveled in 1948 during the Israeli independence. Its remains are seen on the mound, mainly in the eastern side of the center of the mound. Surveys were conducted in 1973 by W. Dever and in 2012 by members of the new excavations, which started in 2013. The excavations, already in their second year, are directed by Robert Mullins (Azusa Pacific University) and Dr. Nava Panitz-Cohen (Hebrew University of Jerusalem). Area A - located on the eastern edge of the Tel, in the center of the saddle between the lower and upper mounds. Area F - located on the southern edge of the lower mound. The majority of the findings date to the Iron Age I (time of the Judges) and Iron Age IIa (Unified Kingdom). During the second season (2014) these areas were further excavated and a new area (O) was opened on the southwest side of the lower city. The site is accessible to the public and is highly recommended. While driving north to Metula, the north most town in Israel, you can see the long hill on which the ruins of Abel are located. For years this hill was just waiting there to be investigated, and finally in 2013 the first excavations started. A narrow road from the west side crosses the deep valley of the Ayun stream, then ascends up to the hill. You can also drive to the site from a road coming from the south. The following Aerial views were captured by a quadcopter drone in December 2014. The first photo shows the upper mound on the northern edge, from the western side. 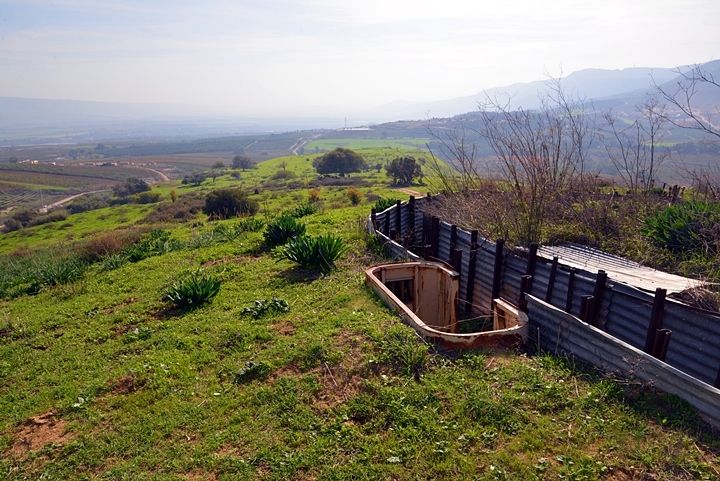 The border with Lebanon passes to the east of the site, along the fence seen stretching above the edge of the mound. 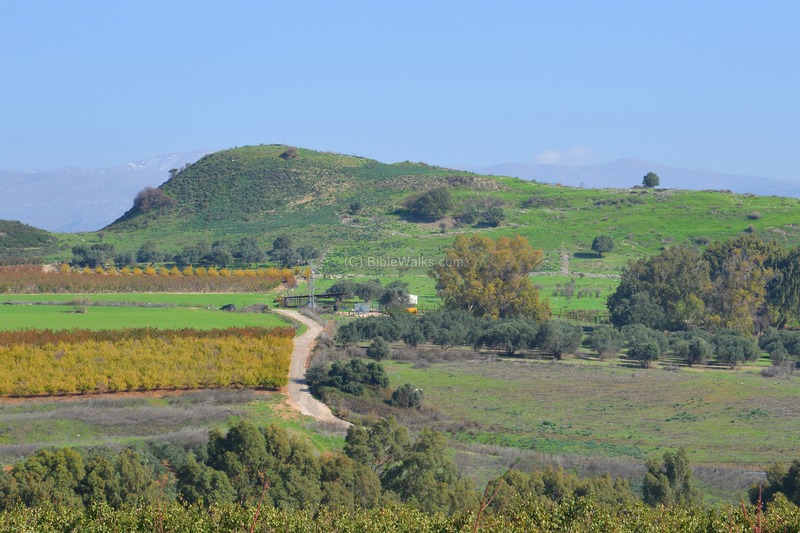 The foothills on the right may have been the place where the Assyrians built a ramp during the 8th Century conquest. The next photo shows the north eastern side of the mound, looking northwards toward the upper mound. The modern access road passes on the lower side. Open trenches of Area "A" is seen just above the road. The southern side of the lower mound is seen in the following view, as captured from the north eastern side. At the far edge of the mound is Area "F". A road on the eastern side of the mound provides access to the top of the mound. Does this modern access road follow the path of the ancient road? The answer should come in future excavations. 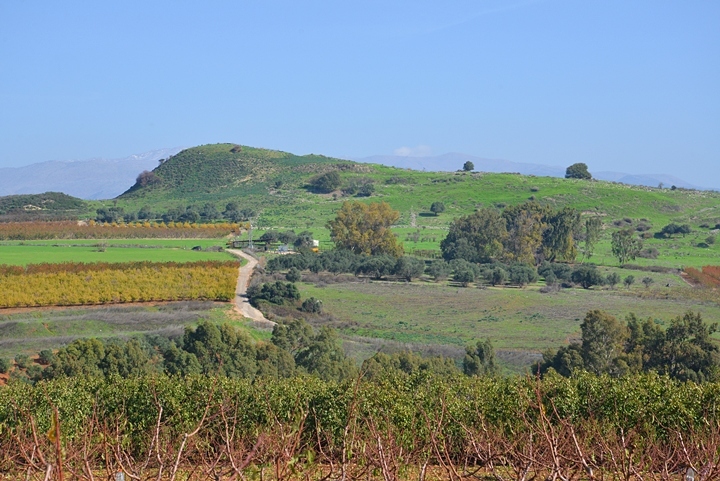 On the eastern edge of the Tel, in the center of the saddle between the lower and upper mounds, is "Area A" - one of the two excavation areas of the first excavation season. The area was selected for a number of factors - Iron Age findings were identified here below topsoil during the 2012 survey, segments of walls and floors were visible from the road, and also since the area was not obstructed by the Ottoman period buildings. 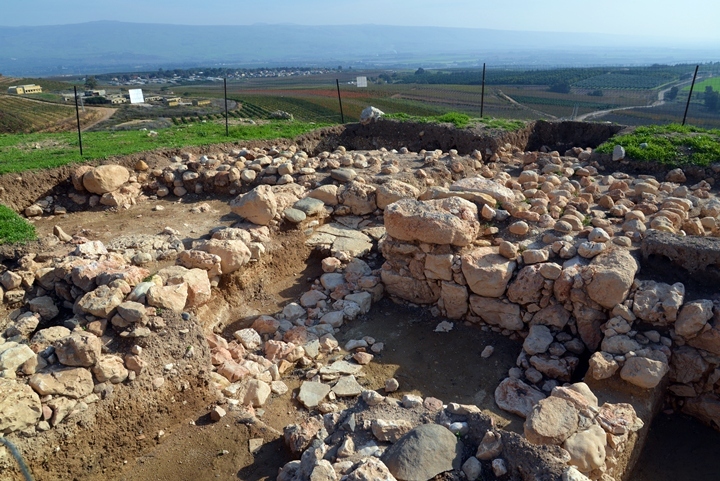 The excavations of 2013 unearthed four settlement phases, digging 2.25m below the topsoil. The first three phases belong to the Iron Age I (1200-1000 BC) and Iron Age IIa (1000-925 BC), while the top level is dated to the Medieval and Ottoman periods. The oldest level ended in a destruction. In 2014 the excavation in this area continued to the west side. The dating of the levels, and other conclusions, require further analysis and will be published in the future. On the northern edge of Tel Abel Beth Maacah was the location of the "upper city" during the Canaanite and Israelite periods. This hill top may cover ancient large structures, such as the King or Governor's palace, but these are currently buried under the ground. During the Ottoman period this high place became a cemetery for the village. Along both sides of the road are remains of the Arab village of Abil al-Kamah. From the top of the hill is a great panorama of the area, and Amit takes pictures. 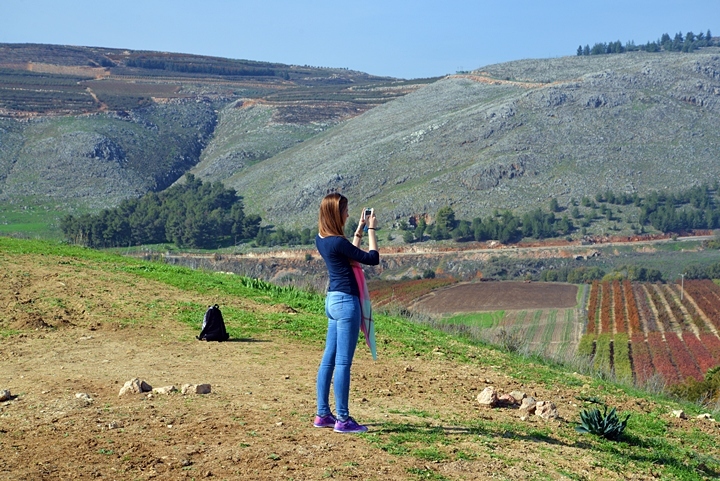 Here are great views of the agriculture fields, orchids and the north most town - Metula. This indeed is a remarkable view. The archaeological survey identified ancient fortifications, in the form of a wall surrounding the summit. On the hill top are two military trenches, as this strategic location is close to the Lebanon border. These bunkers were built over the ancient acropolis, and therefore future excavations will have to peel off the modern land fill before reaching to the level of the ancient structures. Webmaster's father seems to enjoy the scenery. 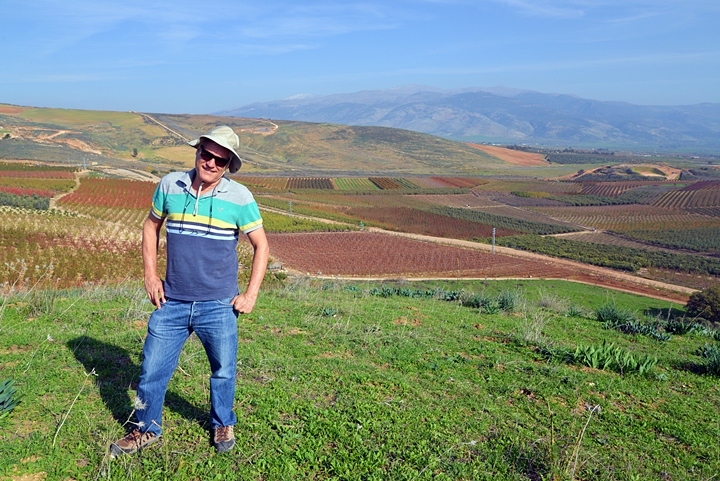 Behind, in the far background, is Mt Hermon and the northern hills of the Golan heights. The Israeli-Lebanon border passes along the foothills of the ridge, seen here at the edge of the fields. 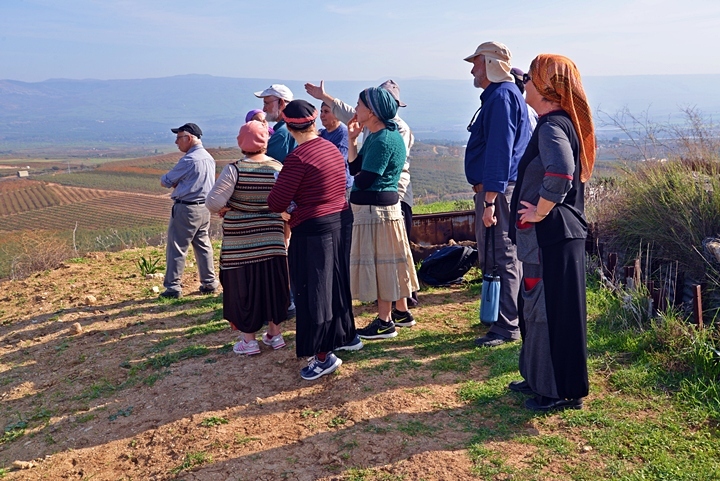 A group of good people from Moshav "Keshet" in the Golan came to visit the site at the same time. They came to learn about the history of the place, and enjoy the views. 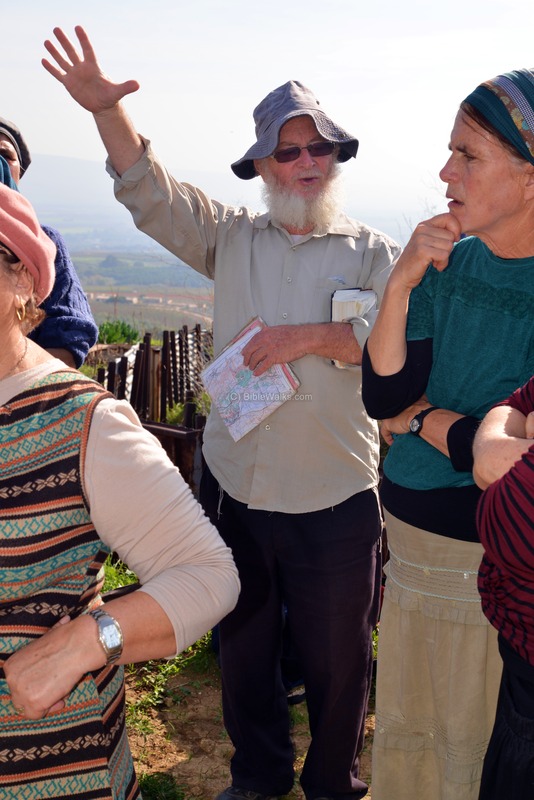 The group was lead by Professor Chaim Ben David, a leading Israeli archaeologist and the head of the department of the Land of Israel Studies in the Kinneret college. 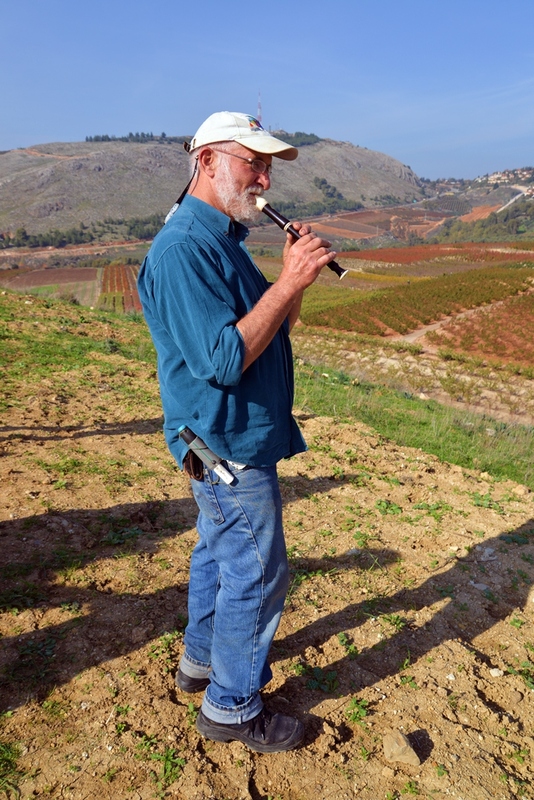 He gave a historical and Biblical review of the site and described the results of the first two years of excavations. We thank him for his exciting lecture. A panoramic view, as seen from the north west side of the summit, is shown in the following picture. If you press on it, a panoramic viewer will pop up. Using this flash-based panoramic viewer, you can move around and zoom in and out, and view the site in full screen mode. Hot spots indicate the major points of interest. A view from the northern edge of the mound towards the south side shows how big the ancient city was at its peak Canaanite and Israelite period. A reverse view, from the south towards the north, is seen in the photo below. The 2012 survey identified a majority of Middle Bronze and Iron 2 period settlements across the center of the southern side of the hill. 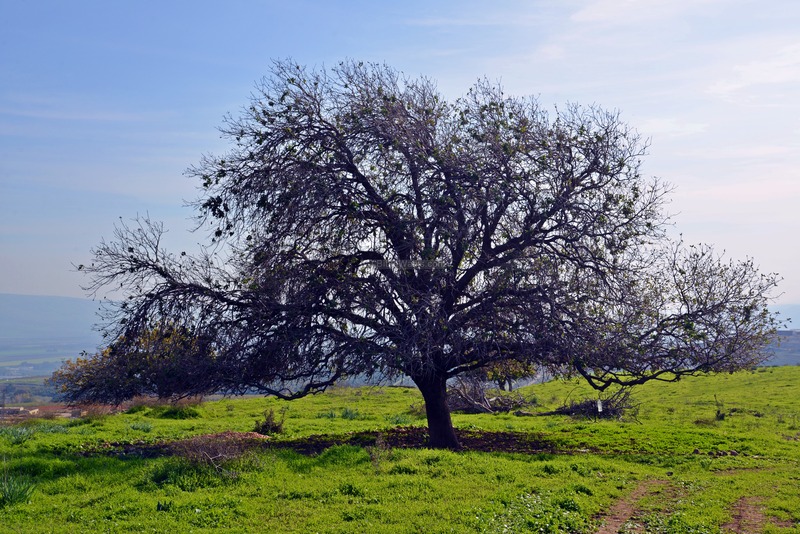 Some old oak trees grow on the top, but most of the hill is barren. 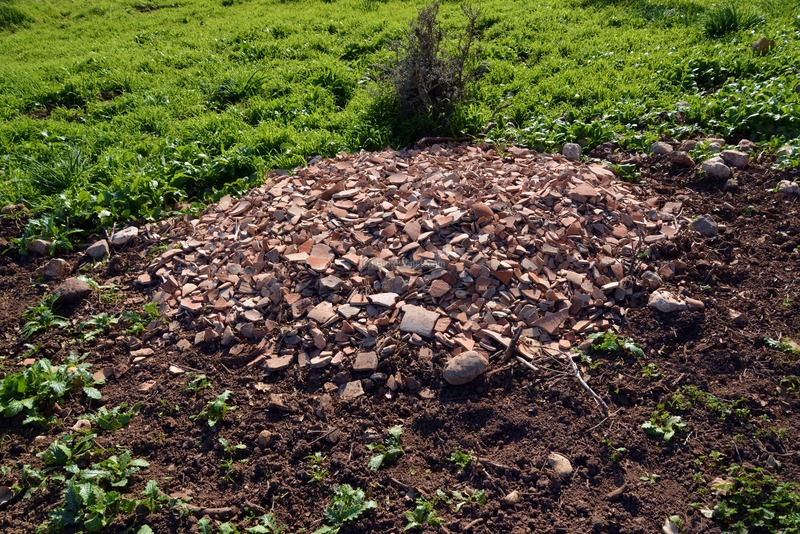 A great oak tree on the south side served as a center for reassembly of pottery fragments. 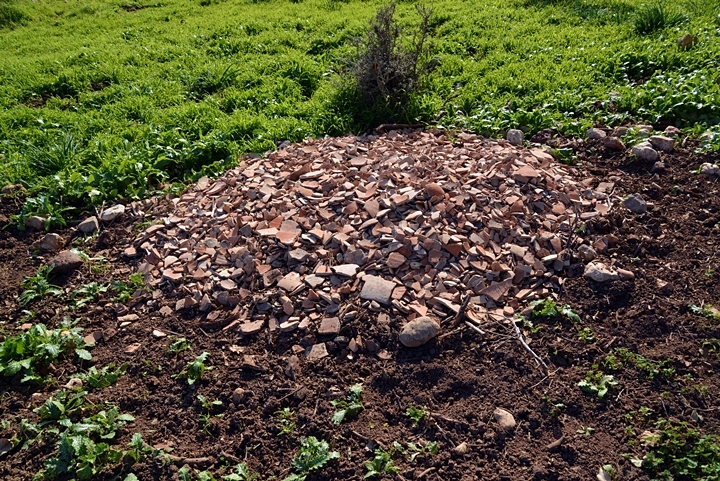 Under the tree is a pile of hundreds of ceramic fragments. 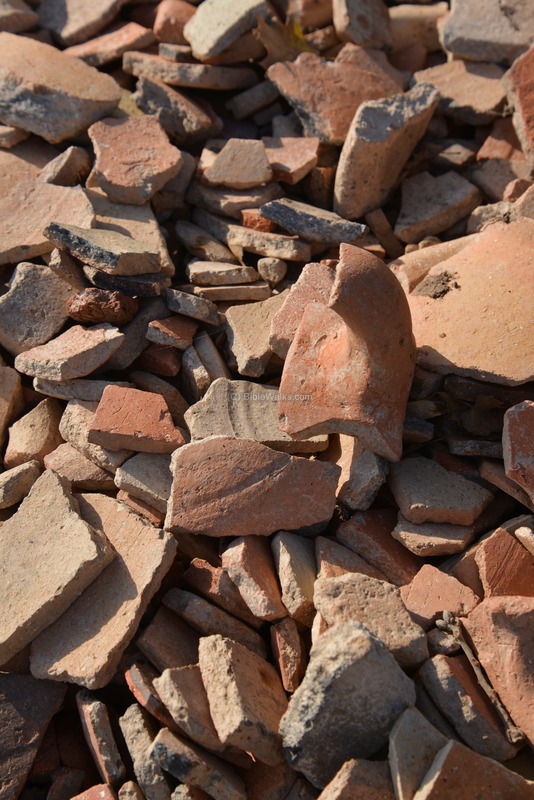 These were collected from the excavations, but could not be reconstructed, and left here. The lower city of Abel is a flat and long plateau. At the southern edge is another excavation area, named "Area F". In area "F", the excavation team uncovered a well-built structure, which may have been a tower. This fortification is dated to the Middle Bronze age. Later structures were built against the tower during the Late Bronze and Iron Age I. The following photo shows another section of the fortifications, with an array of rounded stones that composed the inner side of the tower. On the western side is another area, opened in 2014 and designated as "Area O". Walls dated to the Middle Bronze and Late Bronze periods were unearthed here. An aerial view of the west side can be seen in the following Youtube video. An aerial view of the east side can be seen in the following Youtube video. 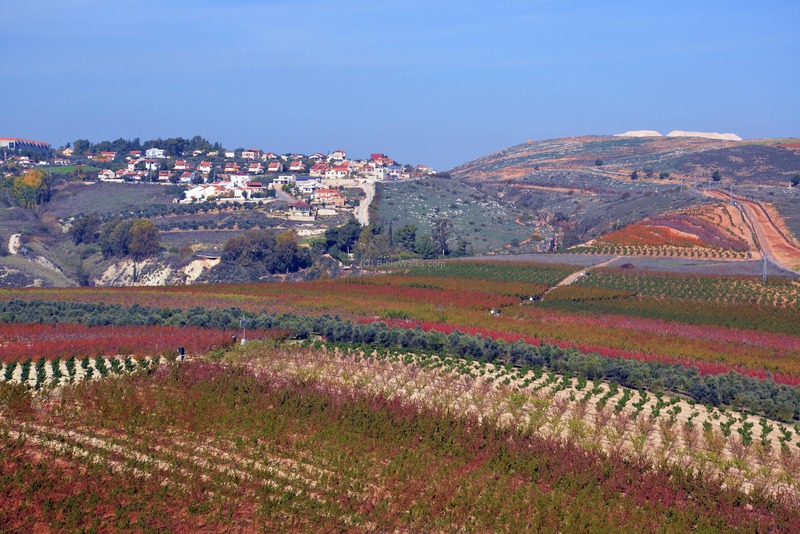 Abel Beth Maacah: Biblical name of the city, literally translated to "The fertile valley of the land of Maacah". Abel, Avel - Avel means in ancient Hebrew: a fertile valley with flowing waters. Abel Beth Maacah is located in a center of a fertile valley where the Iyun river flows. 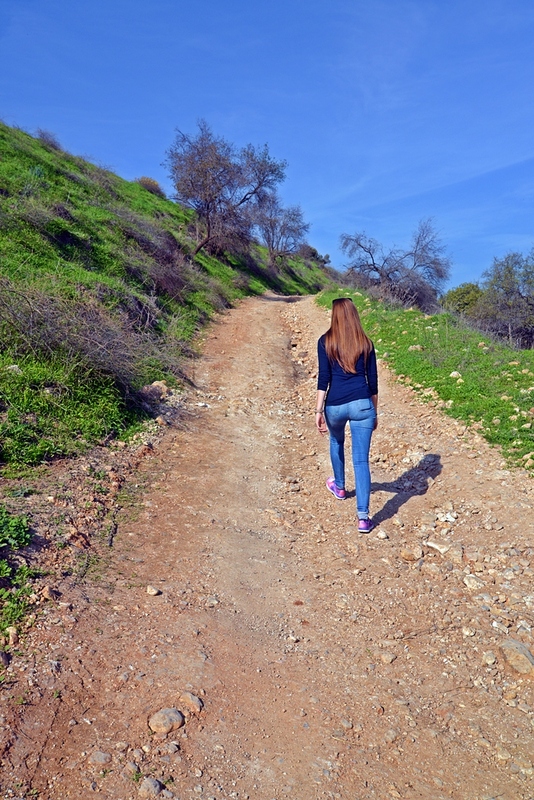 A modern Hebrew form is Yuval - river or creek, such as the name of the nearby Kefar Yuval. There are a dozen of sites in Israel with the prefix "Avel", so the suffix links it to the area of the Upper Galilee. Beth - Hebrew for house. Maacah - the name of a small Aramean Kingdom east of the Sea of Galilee. This was also a common female name, such as the wife and grand daughter of David. AbelMain, Avel Maim - Another form of Abel Beth Maacah based on the Hebrew word for water (Maim). It is mentioned in 2 Chronicles 16, 4: "And Benhadad hearkened unto king Asa, and sent the captains of his armies against the cities of Israel; and they smote Ijon, and Dan, and Abelmaim, and all the store cities of Naphtali." 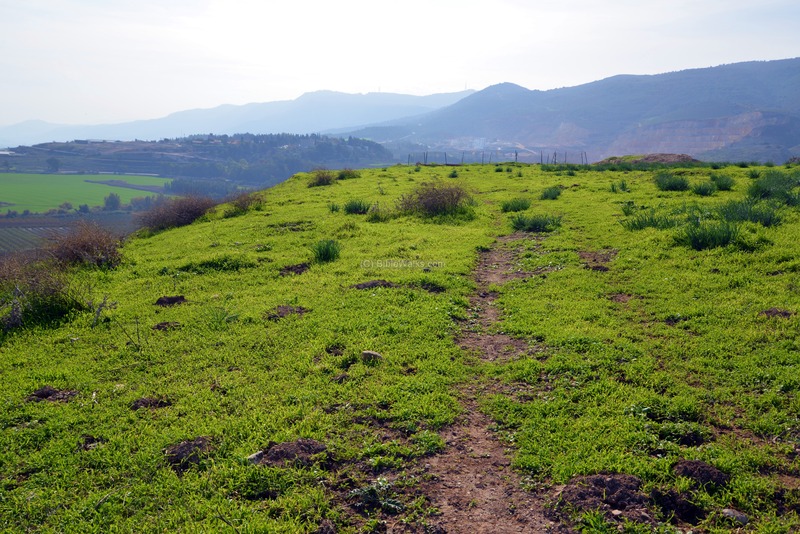 Compared to the parallel version, this is the same place a (1 Kings 15 20): "So Benhadad hearkened unto king Asa, and sent the captains of the hosts which he had against the cities of Israel, and smote Ijon, and Dan, and Abelbethmaachah, and all Cinneroth, with all the land of Naphtali". Abl, or Abil al-Kamah (also: Ibl el-Qamah) - Ottoman and British period Arab village. Preserved the ancient name. Kamah means in Arabic and Hebrew: flour. Join the next excavation season - contact thru the excavation website.